Life According to Sam is a documentary about Sam, (obviously), who has progeria, and the web of related topics that naturally follow. In this case, those are progeria itself, how hard a mother will work to save her son’s life, and how the medical establishment and the FDA handle drug trials and experimental drugs. Progeria is an incredibly rare disease that basically causes the body to age way faster than it’s supposed to. The average life span is something like 13 years of age, but the cause of death is almost always something primarily associated with the elderly- these kids die of heart disease and stroke while their peers are learning what it means to have a crush on someone. The fact that a kid with progeria will get as far as tweendom and no more is particularly heartbreaking; while losing a child at any age is painful beyond my ability to conceive as a non-parent, the film clearly shows that watching your little boy grow up almost like normal for more than a decade makes knowing that his time is inescapably limited that much worse. 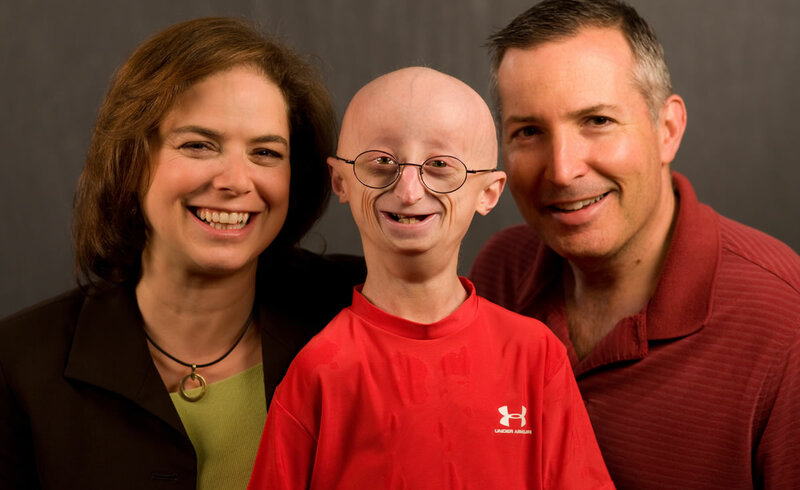 This anxiety is what drove Sam’s mom and dad– who happen to be doctors– to found the Progeria Research Foundation as a result of Sam’s diagnosis at the age of 22 months. 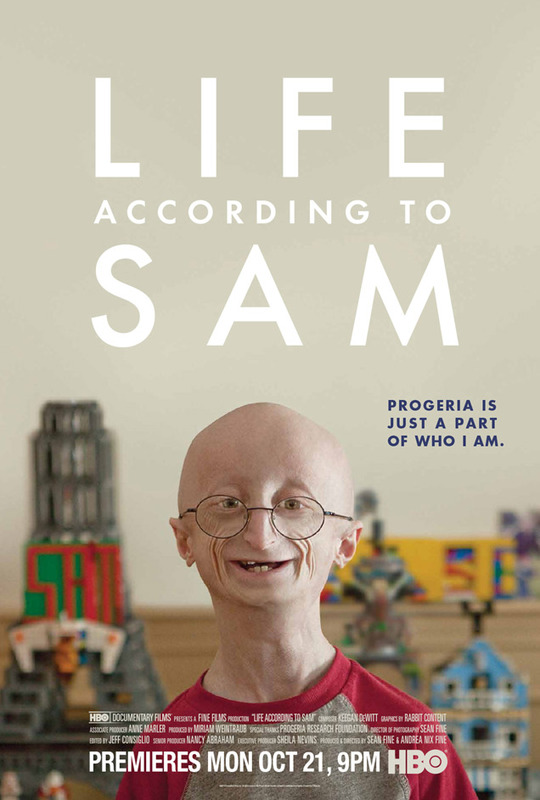 The primary narrative throughline in Life According to Sam is the implementation of a clinical trial for a drug that could potentially treat progeria, led by Dr. Leslie Gordon (Sam’s mom). 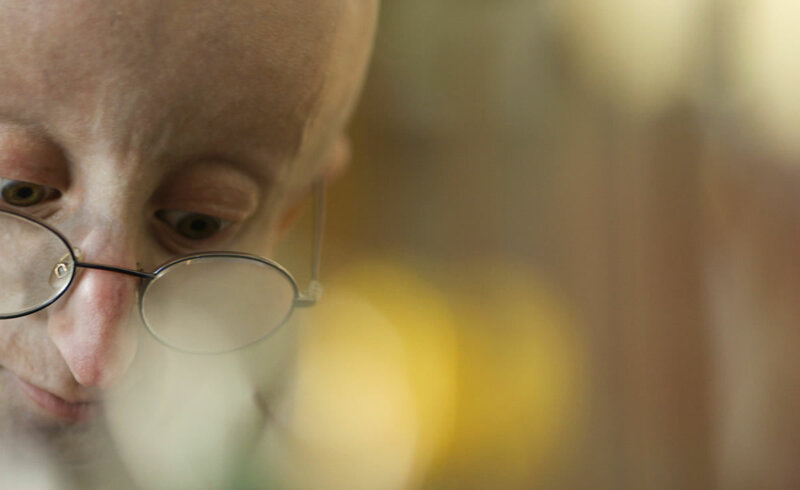 We watch patients come for treatment (progeria only affects between 200 and 250 people worldwide, so the 28 kids in the trial come from all over the world), we watch Leslie as she struggles to get the paper published, and we fret with her as she’s repeatedly denied. The good news is that the paper gets published eventually, leading to the first actual treatment for progeria in history. According to the film, the only way to get FDA approval for a drug to be prescribed is if the trial is published in a medical journal. I am not a doctor and have reason to assume that’s not accurate, but it is one example of the narrowness of the film’s focus working to its detriment. Instead of explaining the context, like why the FDA wouldn’t approve the drug without publication in one of these given journals, or how the pharmaceutical system works on a larger scale, all the audience gets is “We absolutely must be published because we need to get these drugs to these kids, the end.” While it’s obviously incredibly important to get this drug to the kids if it’s useful, the actual data that supports that conclusion doesn’t come out until much later. It isn’t even made clear at the time that the drug is having any effect at all; at the beginning it’s just “We’re doing this trial and we absolutely need to get published afterward.” When Dr. Gordon first expresses that sentiment (in nearly those exact words), I was a little confused and expecting it to double back and turn out to be wrong. She was so confident it felt like a classic set-up before an important twist in the story. But no, in this case, she really is right all along, but the movie assumes that we’ll believe her because… we just will. A little more detail and a little more explaining would have gone a long way in getting the audience on board and starting to root for the good guys. It feels ridiculous to say that about a documentary about kids with an incurable disease because of course we’re going to naturally root for them, but assuming we’re on board because of the kids and not because there’s also sound medical science feels cheap. The content of this film is utterly fascinating, but the presentation is generic at best and manipulative at worst. And not even manipulative in good ways. I expected a certain degree of tear-jerking in a movie about a disease that gives kids just long enough to start to figure out the world before they die, but surprisingly, there was very little of that. Mostly the manipulation comes in the film’s assumption that you’re on board with things the characters say before it gives you a reason to actually believe them. Moreover, there is quite a lot of stock footage of generally medical things while people talk. I am fond of cells in general and like seeing animations where cells divide as an explanation for some phenomenon or order. Here, it’s just visual filler that has no connection to the topic at hand. Beyond the film’s occasional failings, it really is a delightful, frequently heart-wrenching story about a pretty awesome boy. Sam has tons of friends and at one possibly year-end assembly, we see him win a series of awards that all seem to be about what a great guy he is to other people. And he really is. He has that wise-beyond-his-years perspective that many adults never get; he faced his own mortality years ago and now he’s just living each day as it comes in a way that makes him and the people around him genuinely happy. At one point, Sam gets to meet the Dave Matthews Band backstage at one of their shows, and they even play a request from him during the concert and address him by name. In one of the more wrenching moments, his dad (who went with him to the concert) points out that while it’s awesome to meet the band, he would trade a generic seat in the crowd and never shaking Dave Matthews hand in a heartbeat for the special attention they got as a result of his son’s incurable disease. Without spoiling the ending, it’s a lot more positive than you would imagine going in. And aside from any quibbles in the presentation of the film, the Progeria Research Foundation seems to be a really awesome organization working very diligently at a very hard problem to solve. Next time you have a few spare dollars to throw around, they seem like an excellent group to support.